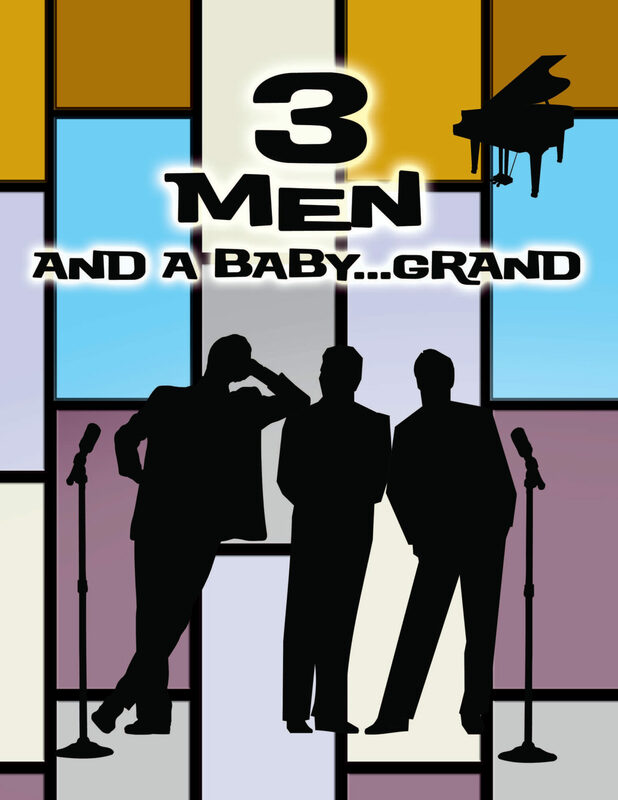 3 Men and a Baby… Grand! 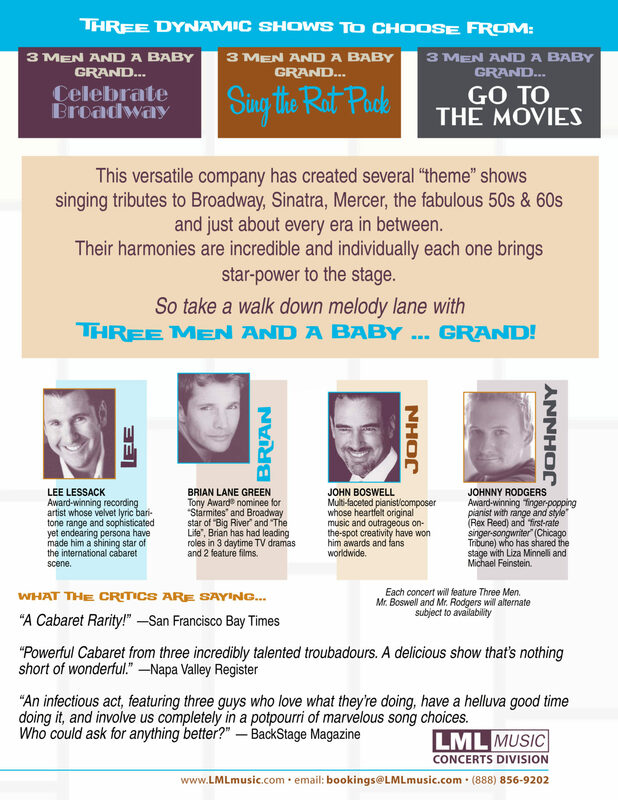 Lee Lessack, Brian Lane Green, John Boswell, and Johnny Rodgers – this versatile group has created several themed shows singing tributes to Broadway, Sinatra, Mercer, the fabulous 50’s and 60’s and just about every era in between. Their harmonies are incredible and individually each one brings star-power to the stage. “Passing through New York with their Rat Pack Show, the amusingly titled group 3 Men and a Baby Grand played at the Metropolitan Room last week and made a strong impression. The trio made it clear from the start that they were not going to impersonate Frank, Dean and Sammy. It was their intention to simply celebrate those pop icons by singing some of the songs that they made famous. Based on that agenda, they did not disappoint.